A case on succession, Judge Paul Gilligan ruled that the homemade will of poet John O’Donohue was void due to uncertainty of its terms and meaning. The resulting decision meant that the entire €2 million estate left by the poet passed to his mother Josie. The Judge Paul Gilligan concluded that he was “unable to decipher the exact meaning” of the will and also added that O’Donohue had “unfortunately provided an illustration of exactly how a person should not make a will”. The fact that O’Donohue did not benefit from legal advice or assistance when preparing his will was evident from the will drawn up, the judge said. Learn More about making a will here. The Judge also outlined that O’Donohue made “the classic error” of having two intended beneficiaries of the will who also witnessed his signature. 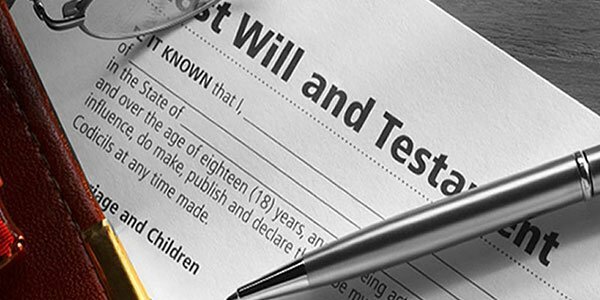 As a result the effect of depriving both of them from benefiting as the law provides a witness to a will cannot be a beneficiary. In the circumstances the judge held that the will, while valid under the 1965 Succession Act the terms of the will rendered it void “for uncertainty”. As a result of the findings of the case, the entire estate falls into intestacy leading to a situation under law where Ms Josie O’Donohue, the mother of John takes the entire estate. In a further comment the Judge also highlighted the importance of making a last will and testament is one of the most important task for anyone and that proper consideration must be taken. See more on this story at the Irish Times. Need further information or advice on making a will?